Based on 4385 customer ratings. Who says you have to settle for so-so pizza because you’re in Vegas? Since 1974, Giordano’s has served the best Chicago-style pizza anywhere in the world, and now you can enjoy our world famous Italian Easter pie right here on the Strip. You’ll remember every bite you take when you eat at Giordano’s, because we handcraft every stuffed pie using the very best ingredients. Try the Wisconsin mozzarella that’s made especially for us, and the pie-like crust we slow bake to perfection. Let your mouth water over our fresh and flavorful toppings, and incredibly zesty sauce! 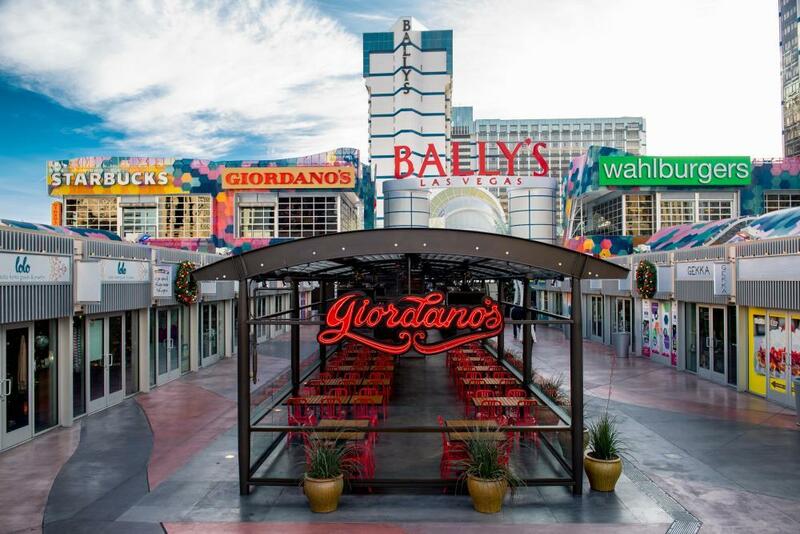 When it comes to the best pizza place on the Strip, nobody beats Giordano’s, located at Grand Bazaar Shops at Bally’s. You’ll taste the difference in every bite because our Las Vegas location uses the same old-world techniques invented by Mama Giordano decades ago. It takes 6 craftsmen to construct just one stuffed pizza pie! And if you’re not in the mood for pizza, explore our full menu, which features all the Italian classics you love. From hearty sandwiches and zesty pastas to crisp salads, savory apps and the sweetest desserts, there is something for everyone to love at Giordano’s. We even have gluten-free options, too. Giordano’s on the Strip makes it easy to get your pizza pie fix. Stop by our restaurant with bar service and relax Chicago-style, or ask for carry out and order the best pizza in Las Vegas. Planning a party? You can also book our private room!